Senior advocate Pravin Parekh has won the election for president of the Supreme Court Bar Association (SCBA) for the sixth time last night, after he did not run last year. 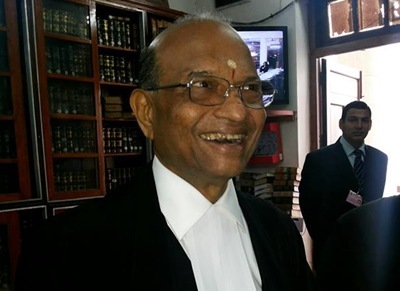 The incumbent, senior advocate MN Krishnamani, did not contest this time, while five other candidates were nominated for president apart from Parekh. Parekh was not reachable for comment at the time of going to press. V Shekhar won the vote for vice-president, Aishwarya Bhati and Sandeep Singh for secretary and assistant secretary respectively, and Vikash Bansal and Rajesh Pathak for treasurer and assistant treasurer respectively. A total of 151 candidates contested in the polls for various positions. This election was the second SCBA election under the “one bar one vote” principle, which was introduced last year, resulting in only 1,656 registered voters this year. Such a scam all of this! Uche Log Uchi Pasand, Manikchand. Mr. P.H.Parekh is the consistent leader of our Supreme Court Bar Association and during his period, he often take care of many a issues pertaining to the common lawyers of the Bar. He deserves consistent victory for the betterment of the lawyers at large. Jai Jagannath. Congratulation Parekh Sabh.